Every club struggles with safety and liability issues. In addition to OSHA, state, and local regulations governing employee safety, clubs must take every reasonable precaution to protect their members from harm - while still offering a satisfying service experience. With more and more private clubs adding (or expanding) fitness centers, the subject of safety (and liability) takes on even greater importance. How do you offer your members a comprehensive, well-equipped fitness program without engendering significant risk? After all, exercise necessarily involves stress to the human body - both to the cardiovascular and musculoskeletal systems. Unless you stress the muscles - including the all-important cardiac muscle - you can't improve their health and fitness. Yet the stress that we call exercise raises the risk of any of a number of injuries, including those - such as a heart attack - that can result in death. In this article, we'll look at the major risks inherent in offering exercise to your members, and how you can both minimize those risks and reduce the club's liability for any accidents which may occur. Studies show that early morning is the riskiest time of day to exercise, with regard to heart attacks. Certainly, those people with overall low risk profiles - those who are younger, healthier, and fitter - have extremely low risk of incident at ANY hour. Moreover, high-risk individuals - who are older, more overweight, unhealthier, or less fit - are at much higher risk at any time of day. But statistics show slightly greater risk, statistically, in early morning hours. While most people will choose to exercise when it's most convenient for them, it behooves clubs to offer greater supervision during early morning hours. More heart attacks occur during the minutes immediately AFTER strenuous exercise, than during exercise itself. It's thought that a sudden drop in cardiac output - which occurs when you go rapidly from strenuous activity to complete rest - can put additional stress on the heart. The lesson here is that members should be instructed how to warm up and (especially) cool down gradually and properly, to reduce risk. Excessive heat and dehydration can both lead to greater stress on the cardiovascular system; both are contributors to many golf-course heart attacks. Make sure your fitness facility is properly cooled, and that water is readily available. Again, members should be educated about the need for proper hydration to maintain fluid balance. The greatest risk, by far, is to those people with pre-existing compromise to the cardiovascular system. Although only medical testing can identify all risks, there are basic screening procedures which can be implemented to help members identify and understand their risk factors. Any fitness professional can administer a basic cardiovascular risk profile assessment; measure blood pressure; or conduct a sub-maximal stress test. All of these can be used to screen members, and even require medical intervention if these screens identify significant risk. Of course, you can't always prevent every incident. Your club's facility should have a well-developed emergency procedure in case of cardiac incident. It should also be equipped (or have close at hand) with an AED (Automated External Defibrillator) and CPR (Cardiopulmonary Resuscitation) apparatus. Fitness staff should maintain current training in CPR and AED use. With members making use of weights, exercise machines, and other exercise devices, it's almost inevitable that accidents will occur. Nevertheless, we have found that there are ways to reduce the risks of dangerous falls, impact injuries, joint sprains, muscle strains, etc. First and foremost, it is essential that members be instructed in proper exercise techniques. You wouldn't expect people to take up tennis safely without lessons, yet we often hear of clubs who believe that fitness centers can be unstaffed or manned with only untrained personnel. Proper instruction is not only advantageous - it may indeed reduce the club's legal liability in case of accident. 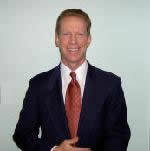 David L. Herbert, J.D., is perhaps the preeminent expert in legal matters pertaining to exercise and fitness programs. His book, Legal Aspects of Preventive, Rehabilitative, and Recreational Exercise Programs, co-authored with William G. Herbert, Ph.D., is considered by many to be the "bible" of exercise-related law. While Herbert acknowledges that some risk can be contained by having participants sign a properly-worded "informed consent" or "liability waiver" form (best administered by staff), he maintains that supervision is essential. He goes so far as to recommend that, even after a member is instructed in proper equipment use, he or she must be adequately supervised while using the equipment. As Herbert notes in his text, in the event that equipment misuse or potential danger is noticed, the participant's exercise should be stopped, the errors corrected, and verbal reinforcement given. Obviously, only well-trained professional staff members can provide this kind of instruction and supervision. The huge "up-side" to that kind of staffing is the markedly increased facility use which goes with it. Professionally staffed fitness centers - like a tennis facility with top pros - attract members and potentially increase revenue, along with member satisfaction. Select a model with a wide belt - at least 20", and preferably 22"+. Select a model with a relatively low deck height - ideally less than 10". Select a model with belt sensor or other built-in safety stop feature. Place your treadmills at 90-degree orientations to the walls - treadmills placed diagonally can cause members to lose their orientation and more easily fall. Place your treadmills, as much as possible, directly in front of any TV's. Members turning their heads to see a TV will more likely drift off the belt and fall. Weight stacks should be covered by shields to reduce the risk of fingers getting caught. Likewise, pulleys and cables should - ideally - be covered. Machines should be easy to enter and exit, even for frail or overweight members. Machines should be fairly intuitively adjustable, so members can safely adjust them to the correct size and position. For those members who prefer free weights - and there will be some - we recommend rubberized dumbbells placed on easy-to-access racks. Finally, barbell fans can likely be satisfied with a Pro-Spot brand machine, which places a barbell on electronically-controlled cables. This unit allows complete freedom of movement, but also locks the bar in place as soon as you release it - providing a high level of safety even for exercisers working alone. Developing a safe facility is a process that involves the building, the equipment, the layout, the signage, proper legal forms, staffing, and instruction. Covering those bases will ensure that your risks are limited while your customer service is maintained at a high level. Douglas Baumgarten M.S., President of CCF, is a graduate of Harvard University and holds a Masters degree in Exercise Science from California University of Pennsylvania. He has over 25 years of experience in the fitness field, and has achieved certifications from the American College of Sports Medicine, National Academy of Sports Medicine, and American Academy of Health-Fitness Professionals.